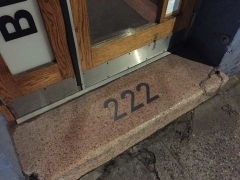 In the spring of 2018, I was working in a building from 12 midnight to 8 am I last worked in 30 years ago. The company I worked for then, Photo-Lettering,went out of business 25 years ago. The people I worked with then are old or dead. I am a ghost. The experience has been surreal as I have not worked so much as an evening shift since early 1992, and at Photo-Lettering I was also on the second shift: my hours varied from 5PM to 3 AM or 7PM to 5AM — however, there was frequent overtime and sometimes I found myself fighting the morning rush going home. That’s the case now as I freelance at a financial publisher on a temporary basis. I will not recount my Photo-Lettering experiences on this page — I have already done so on a post from 2009. I enjoyed working for what was the city and perhaps the country’s biggest type shop, but the evening hours stunted my social life. I’m not exactly a hermit but because of it, especially Friday nights, I didn’t get out as much as I could have. Midnight-to 8, however, is a different ballgame entirely: all connections to a ‘normal’ schedule have to be dropped and I have to sleep as best I can during the day. It has not been a success so far, as I have had bouts of insomnia. Since beginning Forgotten NY in 1998, I have “heightened awareness” of the streets where I live and work — their peculiarities, their histories. Between 1982 and 1988, while curious about the city, I did not have an outlet to express it and so, wasn’t looking quite as diligently. In those years I didn’t wander the streets on my “lunch hour” which was between 12 and 2. The city was more dangerous in those days. Now, I am getting to work between 11:30 and 12 and have taken more notice of what I am seeing in the walk from Grand Central Terminal to 216 East 45th. Today I will show a bit of what I’m finding. 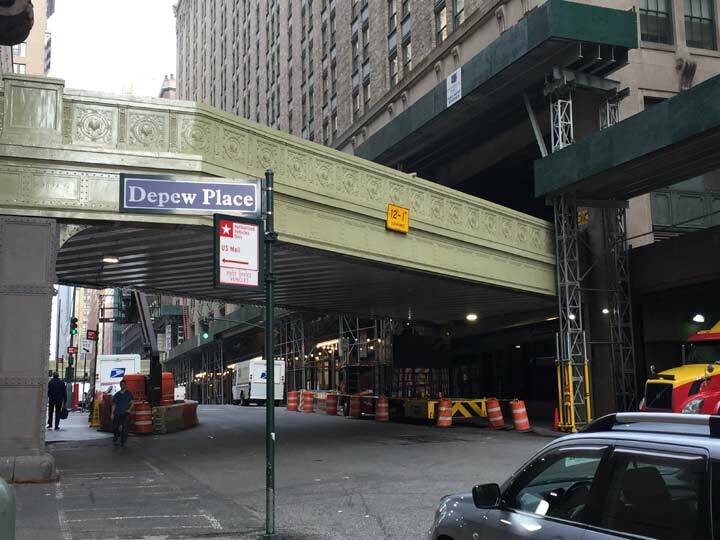 The Park Avenue Viaduct spans East 45th Street between Vanderbilt and Lexington Avenues, snaking around the Helmsley Building until both of its lanes meet at Park Avenue and East 46th Street. Here, Depew Place, now reduced to a dead end behind the 1909 Grand Central Post Office, runs by the viaduct. 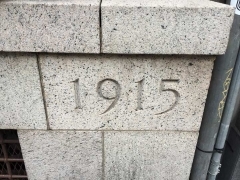 When I attend NYC’s “Summerstreets” program, which opens up Lafayette Street, 4th Avenue and Park Avenue up to bicycles and pedestrians for a few Saturdays in August, the highlight for me is the opportunity to walk the Park Avenue Viaduct, which opened in two pieces from East 40th to East 46th Streets in 1919 and 1928 surrounding Grand Central Terminal and later the Metropolitan Life (formerly Pan Am) Building. It has always been designed expressly for auto traffic and doesn’t have shoulders or sidewalks of any sort — hence its oddities, architecture and statuary are largely mysteries to all but the pedal to the metal motorists and cabbies who speed past them every day. 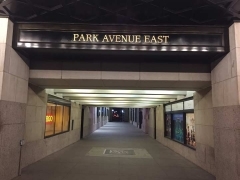 Although there’s no surface Park Avenue between East 45th and 46th Streets, pedestrian traffic to and from Park Avenue can proceed via two passageways beneath the Helmsley Building, constructed as the New York Central Building [Warren and Wetmore, arch.] in 1929. 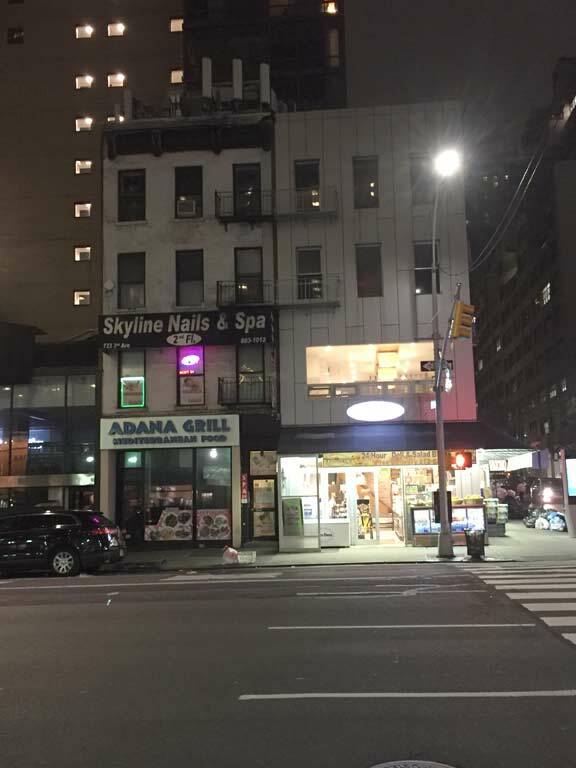 Just two years later it was the site of a mob hit as Lucky Luciano and Vito Genovese-hired assassins rubbed out “boss of all bosses” Salvatore Maranzano. 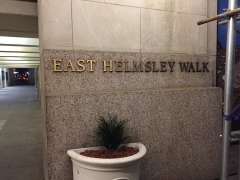 It acquired the Helmsley name after Helmsley-Spear, owned by Harry Helmsley and his wife “Queen of Mean” Leona, bought the building in the 1980s. 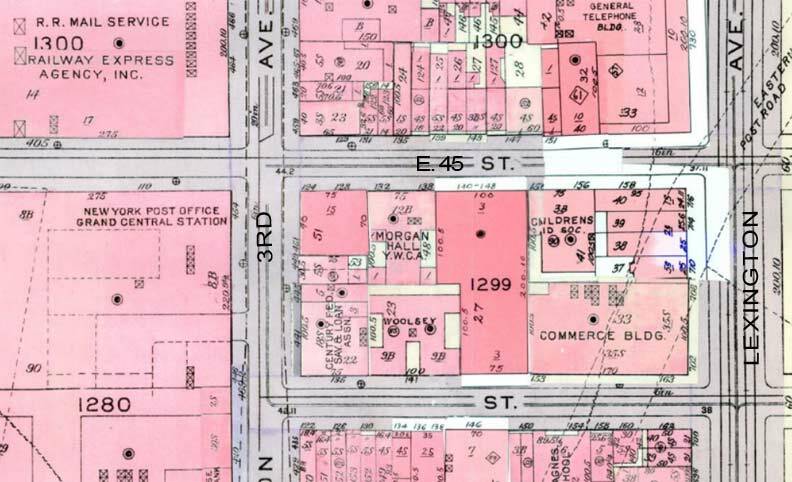 Bromley Manhattan maps of East 45th from 1912 (above) and 1962 (below). 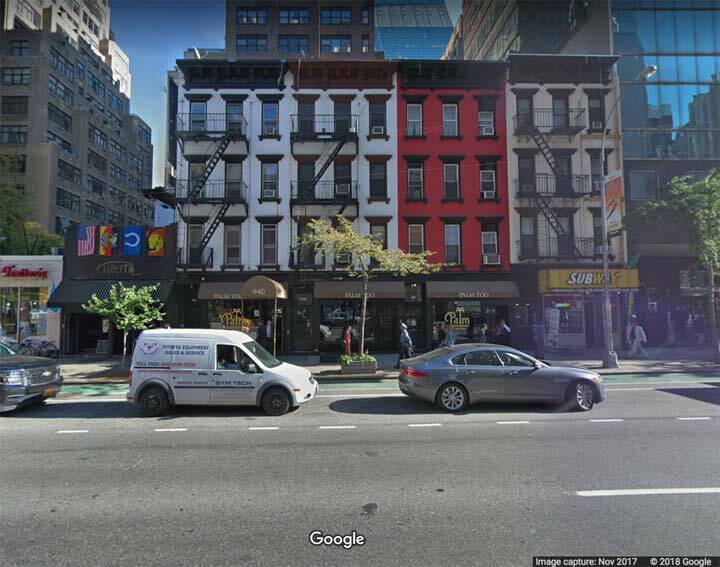 Note that the north side of East 45th between Lexington Avenue and 3rd still retains its smallish brick buildings, likely the first buildings constructed on the streets in the 1800s. Both maps also show that the Eastern Post Road, a route between Manhattan and Boston that formed the basis for today’s US 1, bisected what would become the intersection of 3rd Avenue and East 45th Street. In the 1980s, when heading to work, I noted this large, handsome building on the south side of East 45th at #132. 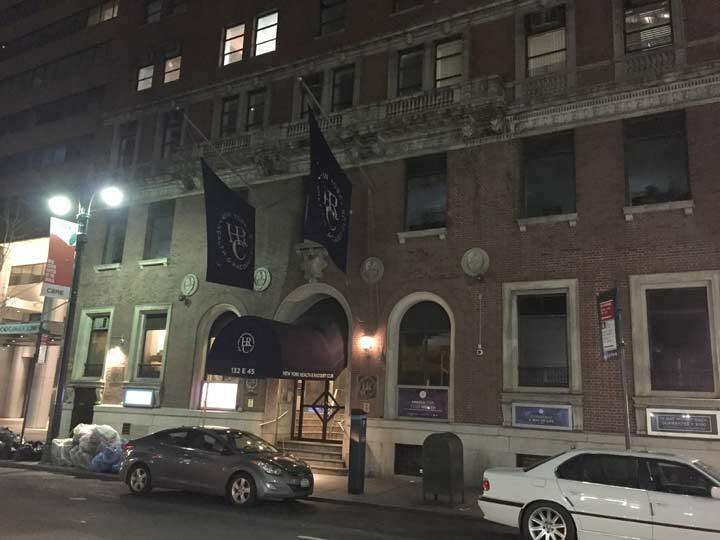 Then as now, it is home to the NY Health and Racquet Club (though I never went in; I have not seen the inside of a gym since high school). 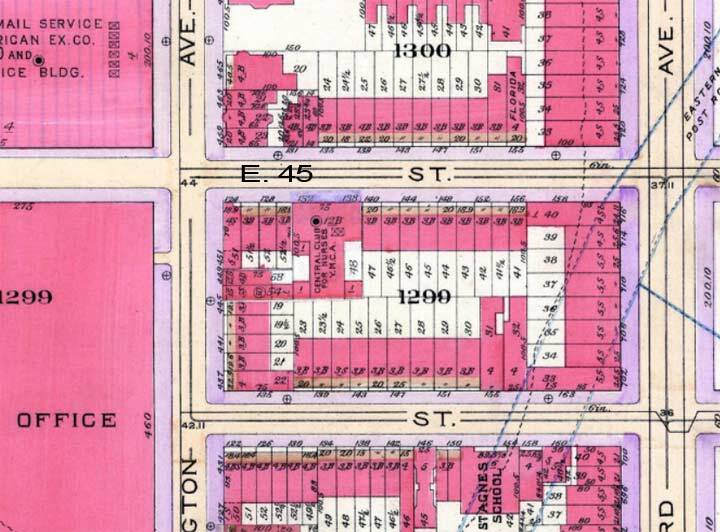 The 1912 map shows it as The Central Club for Nurses and YMCA, while by 1962 it was the Morgan Hall YMCA. 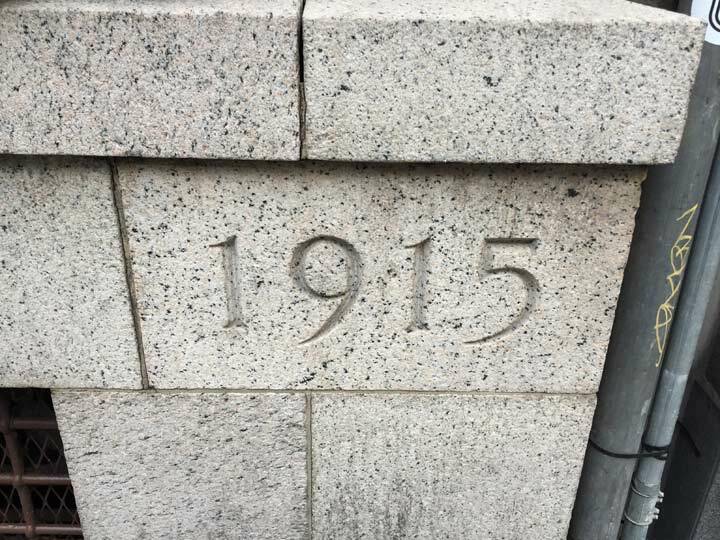 The cornerstone has its date of construction as 1915. The Y sold the building in 1974. Here’s a pair of holdover brick buildings on the north side of East 45th, at #137 and #139. 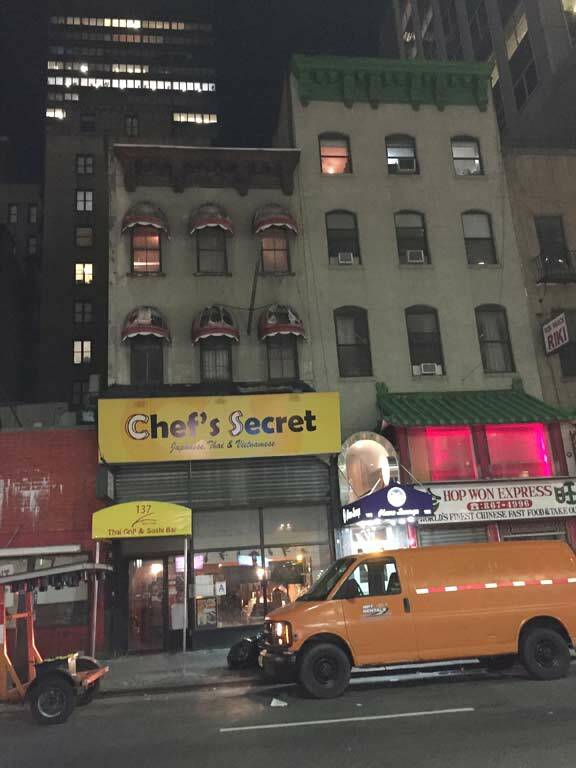 Both buildings have Asian restaurants on the ground floor, while #139 has a piano bar, Uncle Charlie’s, on the 2nd floor. 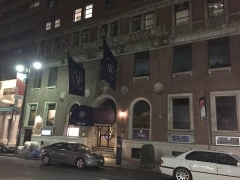 But as I passed the building at about midnight I couldn’t help wonder what was going on in those dimly lit rooms on the upper floors, behind those tattered awnings of #137. 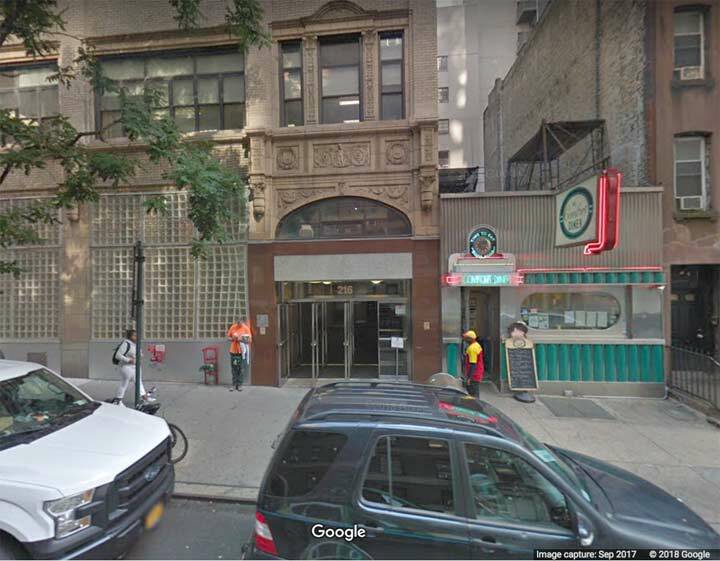 #139 was once home to the Press Box Steak House, one of a number of steakhouses in the area that catered to both the news industry and the showbiz crowd; the vanished #151, next door, was another, Danny’s Hideaway. East 45th came to be known as Steak Row in its heyday beginning in the 1920s. 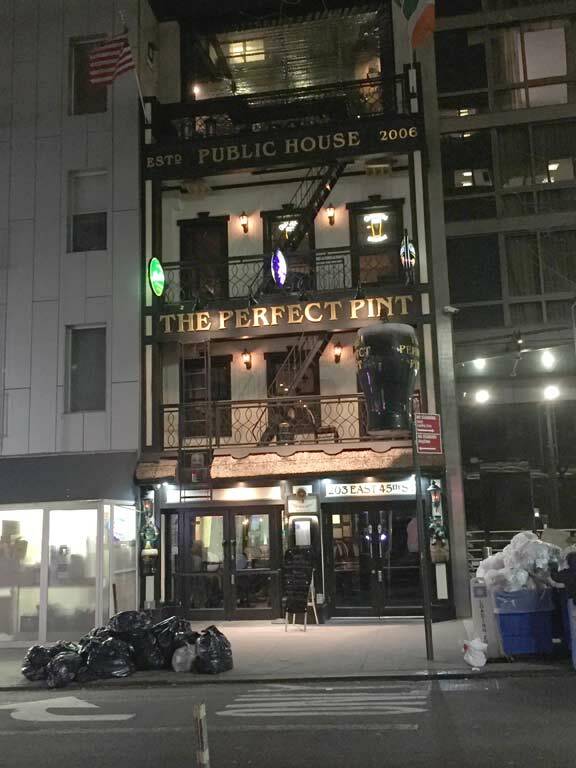 The Pen & Pencil closed in the 1990s and the premises was home to The Perfect Pint by 2006. Note the typefont the signs were set in. It is known as Benguiat (pronounced “BENG-gat”) and it was invented by Ed Benguiat, a jazz percussionist turned type designer who worked at Photo-Lettering, where I worked, and I would see him on the premises occasionally. Another pair of holdout buildings at 3rd Avenue and East 45th. Late at night when there isn’t much traffic and it’s quiet for a few minutes, close your eyes and perhaps, you can hear the faint hoofbeats and shouts of the farmers and workmen who once ran their carts and wagons up and down the Eastern Post Road, which ran through here some 200 years ago. Oddly, when I worked on East 45th in the 1980s, I never ventured a block north to East 46th. However, the Sparks Steakhouse exploded into national consciousness in December 16, 1985 when Gambino crime family boss Paul Castellano was rubbed out in a power play by John Gotti’s associates. Sparks was in danger of closing due to rent increases in 2017. 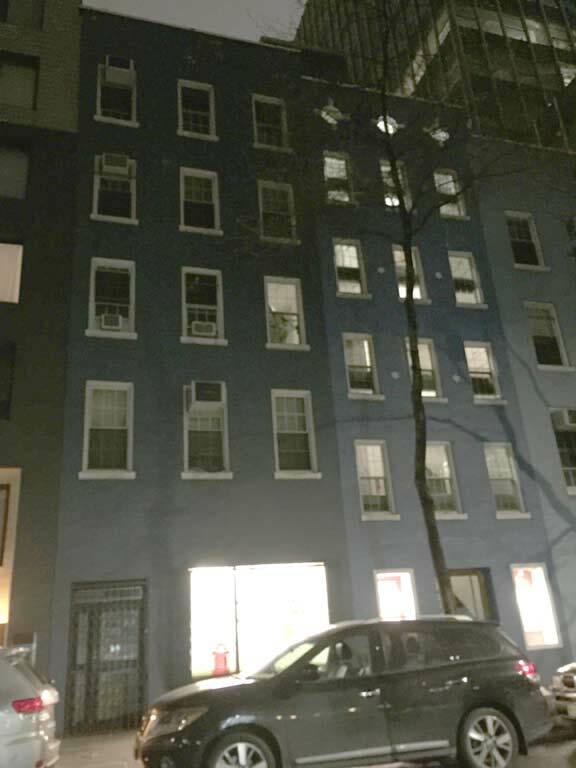 I found an unusual installation in the window at #222 East 46th, which comprises three “holdout” buildings constructed in the 1860s and combined in 1924. The exhibit commemorates the 1930 death of a milk dealer who lived in the building. Further details are scarce — I’ll try to find out more. 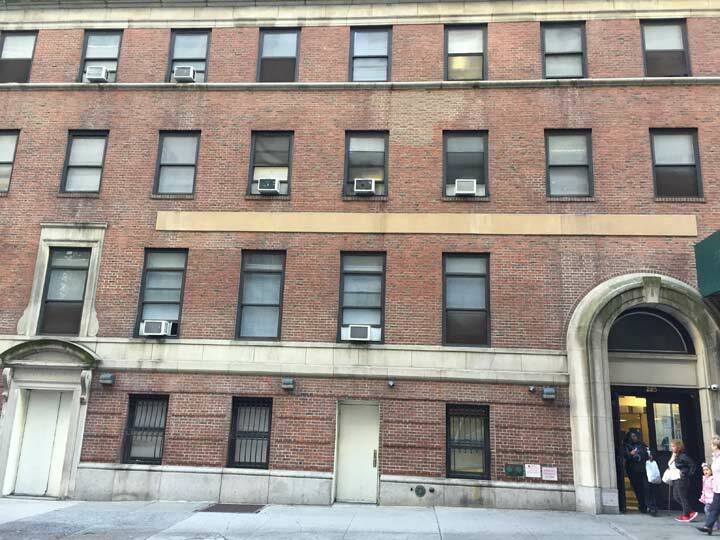 I passed #225 East 45th thousands of times in the 1980s but never gave it much thought. 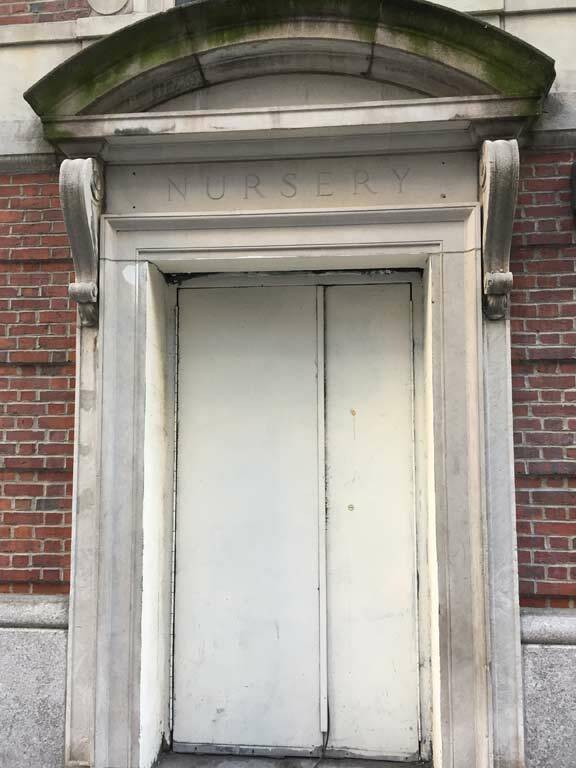 Then I saw the word “Nursery” chiseled above the entrance last week. The 1928 map shows it as a Franciscan mission. 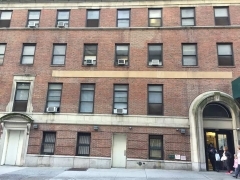 The building presently houses homeless women. Perhaps the Franciscans were taking in unwed mothers in the 1920s, hence the nursery entrance. #216 was the building where I worked in the 1980s and find myself in again. But in the 1980s, I didn’t use this entrance: I used the freight entrance which is out of the picture on the left. Where you see the glass blocks was the picture window display for Photo-Lettering, which had been abandoned by the time I got there. I never (or rarely) ate at the Comfort Diner — in the 1980s called the Jay Dee Coffee Shop — while working at Photo-Lettering, though at 214, Jay Dee was right next to PL at 216. It had “normal” hours and was closed when I went to lunch. I never thought to try it before work, though, and I can’t remember if it had any of those classic diner trappings back then. These may be add-ons, because Jay Dee doesn’t show up on any of my NYC diner sources. It certainly appears to be a classic diner on the exterior — possibly a Kullman? The original Palm Restaurant was a steakhouse featuring Northern Italian cuisine that opened in a former funeral home in 1926 by Italian immigrants Pio Bozzi and John Ganzi, who hailed from La Parma, hence the name. 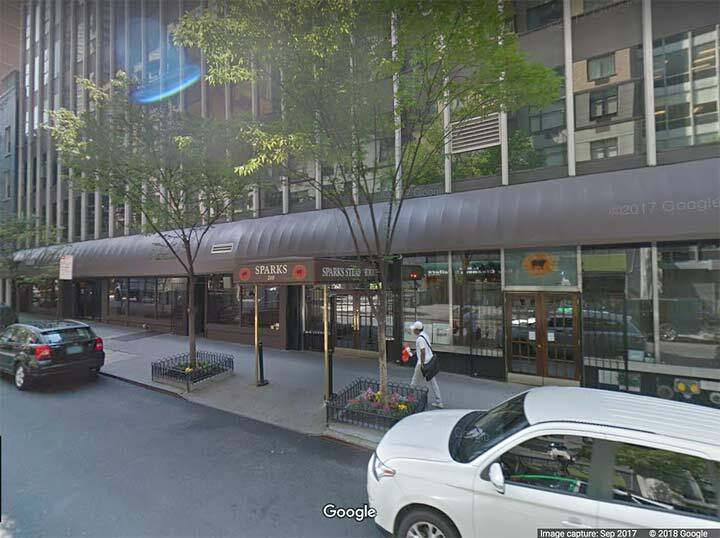 The original location on the west side of 2nd Avenue south of East 45th closed, but its first offshoot, Palm Too, still holds forth across the street. With my limited budget, I have never been in either Palm (though I have visited Peter Luger in Brooklyn twice, though not lately. However, I did eat “lunch” here once a week, in the building on the left. It was the longtime home of an all-night Blimpie, which had moved out by 2009. I would stop in for years now and then after I had left Photo-Lettering. I remember seeing the Palm in about 72 and wondered how such a relic could still exist. Like something from a Graham Greene novel or Casablanca movie. I would always study it to see if anything looked phoney.I had never heard of it before then. I was an Ironworker for 43 years retiring in Jan, 2000. This is a great story about an area I worked in often. I once saw a pre 1910 map of the area. 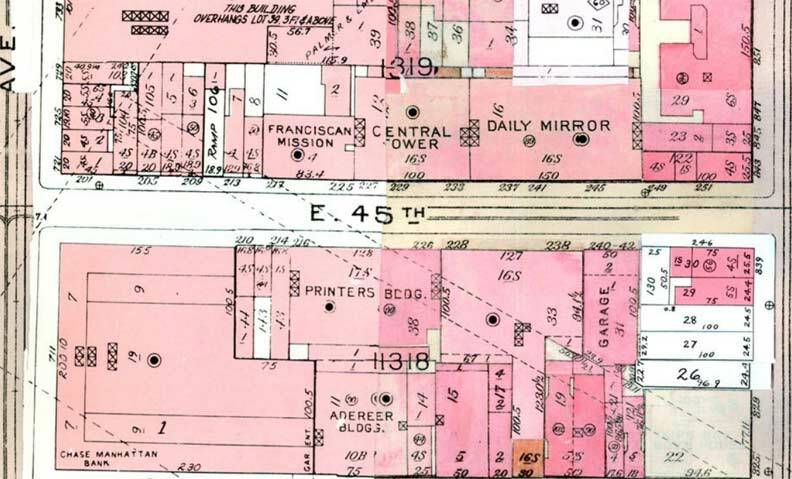 All of the east side of Lex beginning at 42nd St was connected to the GC Terminal: At Site of Chrysler building, blacksmith shops, two round houses, Railway Express etc. on and on–I don’t know how far uptown it went. I wander. Your site is great! I used to wander the empty streets for an hour or so before work many many times. I visit your site not enough but when I return there’s a nice new area to wonder at. Regarding your last paragraph: No doubt this was the NY Central RR route that Roger Thornhill (Cary Grant) used as his escape route in Alfred Hitchcock’s masterpiece “North By Northwest” (1959). In the early 1980s I worked for an engineering firm located in 141 East 44th St. 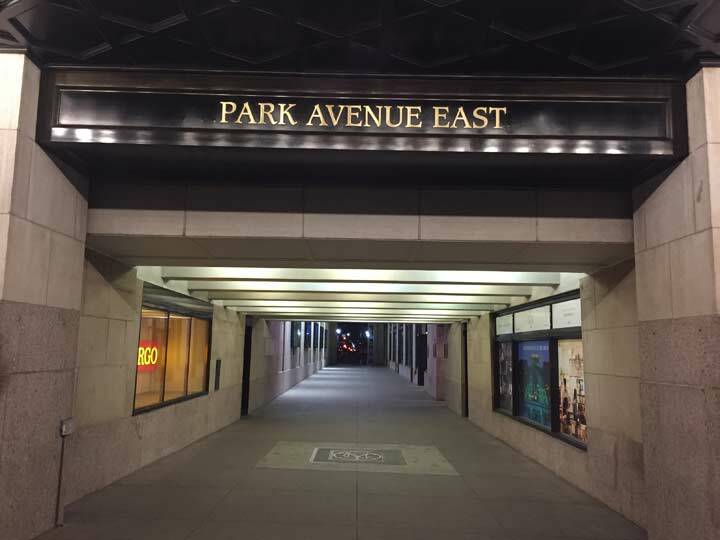 The company had gotten the contract to design the structural repairs for Park Av where it goes around GCT. 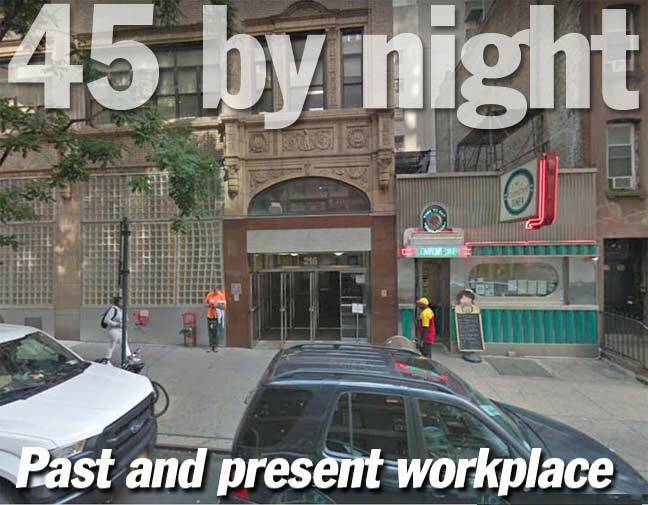 I had the “pleasure” of walking on both sides of Park Av from E 40th to E 46th numerous times, our only safety protection being a hardhat and orange vest. No cones, flags, etc. 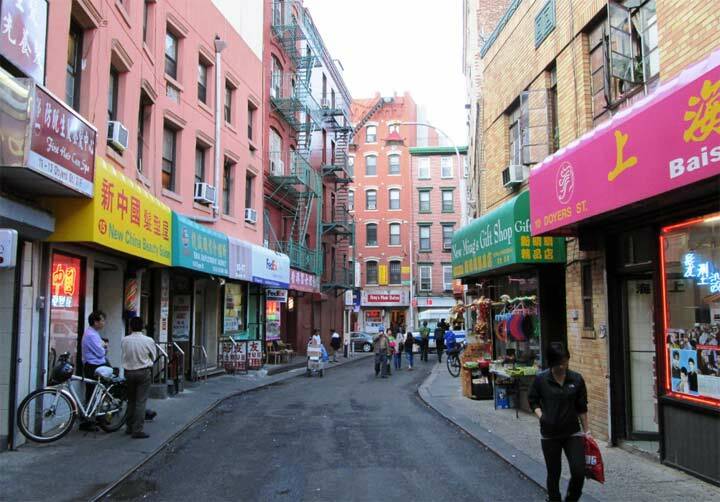 In most places, there was an 18 inch wide “sidewalk,” some places were wider, some narrower. 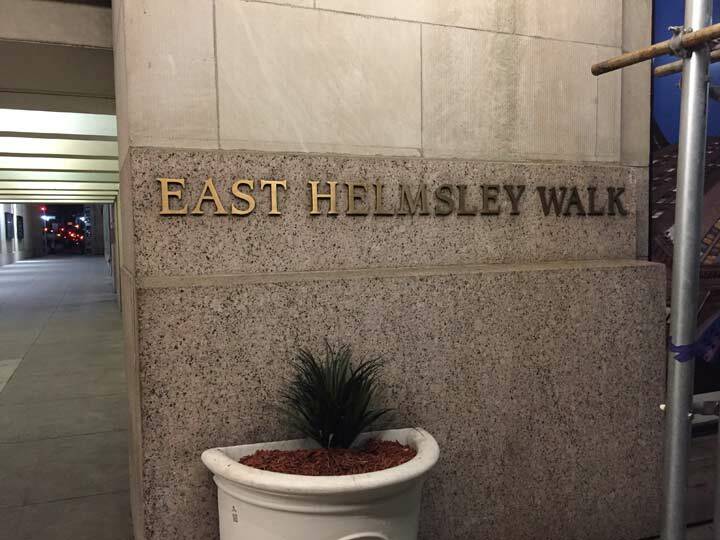 It was lots of fun doing the sections thru the Helmsley Building where we had to climb on top of the concrete in the corners and cross the road to get from one corner piece to the other. I still miss the Pen and Pencil. When it closed, John was kind enough to give me one of his few teal green corkscrews in a box. What a gentleman, and what a treat it was going there. Hosted many a good business lunch there. Still have some of the Photo-Lettering type books. I worked from trade magazine publisher Conover-Mast, later Cahners Publishing, in 1967-1974, then at 205 East 42nd Street. Oh yeah,went to summer school at St. agnes on 43rd st in 73.Lots of whore ladies on Lex. Dreaded that area for years afterward because of that school. I really enjoyed this article! I am so happy to see the Pen & Pencil building still standing. I thought it had both been torn down (like the neighboring John Barleycorn bar). Can I assume that nearby pre-UN slaughterhouses were the reason “Steak Row” developed?